You probably use styles like Heading1 and Heading2 in your word documents which are useful for creating a table of contents to make it easy to find content in your document. 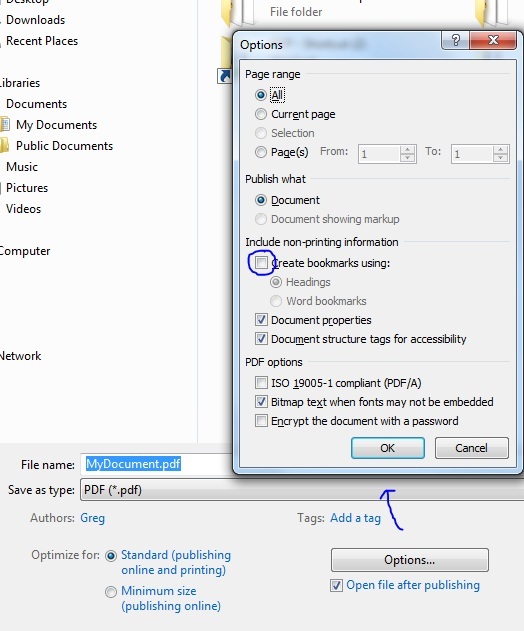 This information can also be used when you save your document as a PDF file to send out to clients. 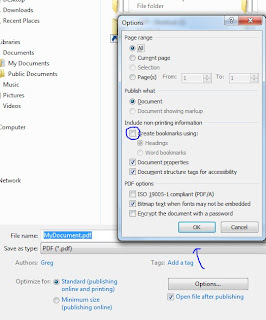 This uses the outlining features of the PDF reader and allows you to jump to the headings in your document. You can turn this on when you do a save and click on options and tick "create bookmarks using"